Visit our flagship location in Inner Southeast Portland. Asia America has been operating out of the historic International Harvester Building for over 20 years. With more than 20,000 square feet of inventory, we offer an all-day trip through Asia. If approaching via highway, follow the signs for OMSI to find us. We are located on Taylor Street and Water Avenue, alongside the train tracks. City parking lots are available on Water Avenue. Host your next event at Asia America. Find out how at Event Space. 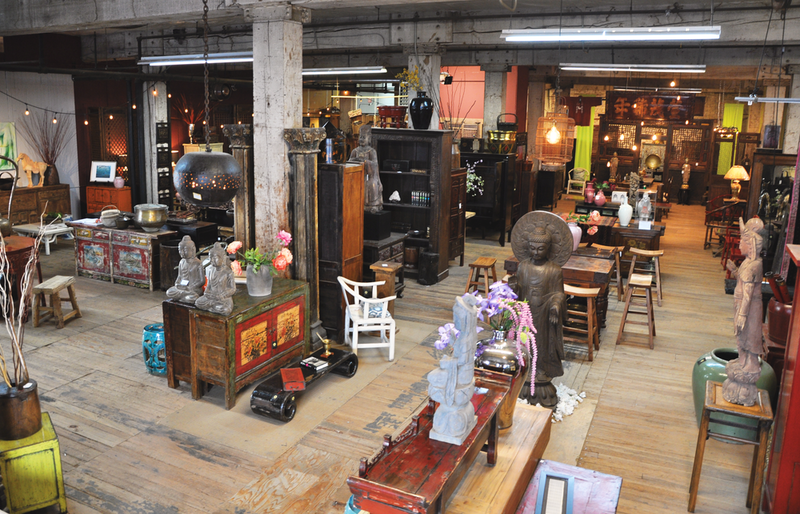 Asia America Riverplace, our showroom location on the west side of the Willamette. First opened in 2017, our showroom offers a curated taste of Asia America’s inventory. It is accessible with a short walk along the riverside, just south of Tom McGall Park. Riverplace also serves as a studio space for artist Ningshu Fang.